So, you want to get rid of your old R12 AC system and be able to fill it with R134a? It’s a pretty common conversion due to the rules about the R12 gas. But is it possible to convert it directly and do you need to replace any parts to do it? In this article, we will go through the R12 to R134A conversion and learn a bit about the specific systems. First, we will go through some standard information. R12 was the most commonly used refrigerant of all times, and it was used for many applications. The technical, or chemical name of R12 is dichlorodifluoromethane. CCI2F2 denotes its formula containing the chemicals that it is made up of. Coming to its technical specs, the weight per molecule of R12 is about 121 with a boiling point of -21.6 degrees Fahrenheit. The molecules inside the R12 are of fluorine and chlorine which is why it is called chlorofluorocarbon or short for CFC, an abbreviation which has been very much standard in the 90s and earlier. Due to the versatile nature of the R12, it becomes quickly a refrigerant used in air conditioning systems, fridges, and deep freezers. This refrigerant would be used in home appliances because its properties were comparatively safe. This refrigerant was not flammable or toxic. Also, there was no hazard of the refrigerant being explosive which is why it was used heavily in home appliances related to cooling without it posing a threat to the environment or people. Moreover, R12 is an extremely stable compound and stays integrated under extreme pressures and operating situations. The only problem with R12 was that if it came in contact with a flame or fire, it would break down and become toxic to inhale which is why at the time of its era of use. People were advised to quickly turn off all the stoves and sources of flames and open all windows in a case of leakage so that all the toxic gas could spread out in the atmosphere. Soon, the R12 got banned in many places and were. As a result, replaced with other refrigerant gases out of which one is the R134A. Unlike the R12, the R134A contains hydrogen and fluorine molecules which is why it is known as HFC rather than CFC. Using the R134A prevented the damage to the ozone layer. The R134A refrigerant is called Tetrafluoroethane and classified as one of the HFC gases from the other refrigerant variants out there. The R134A is now commonly used in the air conditioning systems in vehicles, but it can also be used in fridges, freezers and other coolers similar to the applications of the R12. The R134A is sometimes also used for cooling overclocked computer systems. While the R134A doesn’t damage the Earth’s ozone layer like its predecessor the R12, it still is not considered the safest refrigerant. Many organizations consider that R134A contributes to global warming. Vehicles which were manufactured in the year 1994 and early used to use the R12 for the air conditioning. Cars older than 1994 started using the R134A instead of R12. So what if you have a car which dates back to 1994 or even before that? Well, if you do have a car that old, you have two options. 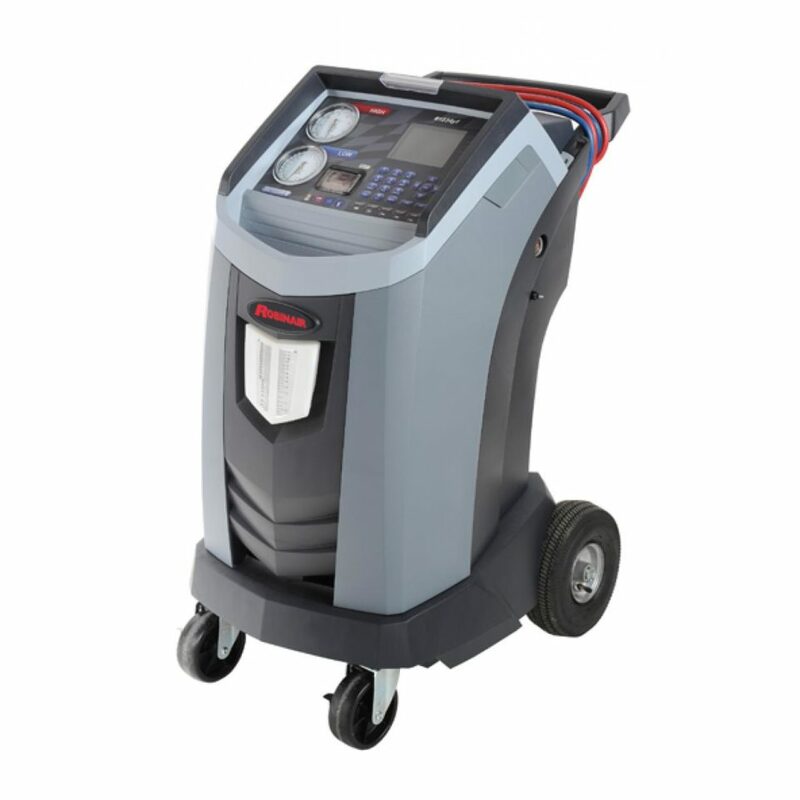 Buy the R12 gas from a supplier online or from a store or modify your car’s air conditioning system to be able to use the R134A refrigerant. If you choose to keep things original and opt for buying the R12, then it is going to cost you more than you’d expect. Luckily, we are here to show you how a successful conversion can be done without spending too much and having your car enabled to use the safer, R134A. There are two ways to convert your car’s AC system to be able to use the R134A gas. One is the factory method which would need you to replace the AC parts, and the other way is to modify the existing components to use the R134A. While the second option may be cheaper, it is better to go with the first one as since your car is already too old, most of the existing parts are probably on their way out of commission. Now, starting with the conversion, you have two options, and that depends solely on you. You can either replace your old compressor and get a new one or use your old compressor and fill it with the R134A. Though, it’s not that simple. The reason is that the R134A runs at a higher pressure due to the size of its molecules being smaller when compared to those of the R12. Just filling your compressor with the R134A would cause your compressor to work harder due to the increased pressure and eventually create a leak to seal. But that’s the second thing to worry about. The first thing is that your factory compressor should be good enough to work correctly. If you suspect that your factory compressor is not really up to the mark anymore, you should be going for a new one. 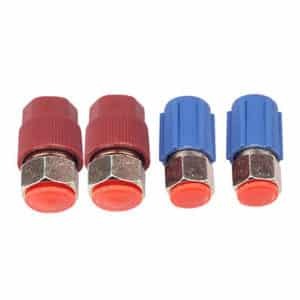 Though if your compressor still has power left, you will then need some new parts like hoses and switches which are compatible with the R134A refrigerant. Check the model of your compressor, and you can find some signs on a label on the compressor. If you have any of these compressors, you have to replace your compressor. Replace Harrison DA6 with an HR-6, HD-6 or HR-6HE Compressor. Replace Ford FX-15 with an FS-10 compressor. The first step is first to make sure that the AC system is empty. Discharge and make sure to recycle it properly. Make sure your AC Compressor is in good shape or replace it. Flush your current system entirely of R12 without leaving any traces of the R12 in it. Instead of merely letting the gas out into the atmosphere, flush and recover the R12 for recycling purposes with a machine. Let a workshop do this for you if you do not have one. Then, flush the condenser for traces of R12 with the flush kit. Flush the AC lines and hoses. 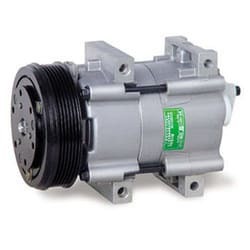 Flush and replace the oil in the compressor according to the specs of the compressor. Replace the orifice tube and the hoses. Replace the old O-rings with new ones. And that is it. Considering there are no leaks in your system, you are good to go. But it’s best to check for leaks while and directly after you have filled the system to save time and money in the process.